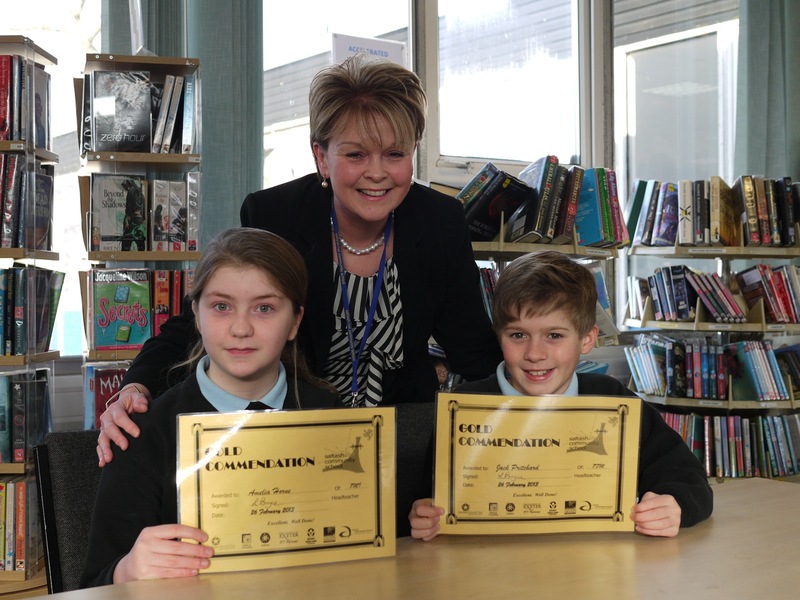 It is always a very special occasion when the first Gold Commendation of the school year are awarded to Year 7 students at saltash.net. This year, Amelia Horne and Jack Pritchard shared the honour. Amelia, who came to saltash.net from St Stephens Primary school and Jack who previously attended Burraton Primary school, showed that they had made an excellent start at secondary school, clearly committing themselves across a range of subjects and demonstrating that they are prepared to put in 100% effort to all of their learning experiences.